"Project Image First Chimney II"
oil on C-print, 108,7 x 86,2 cm, 2012. 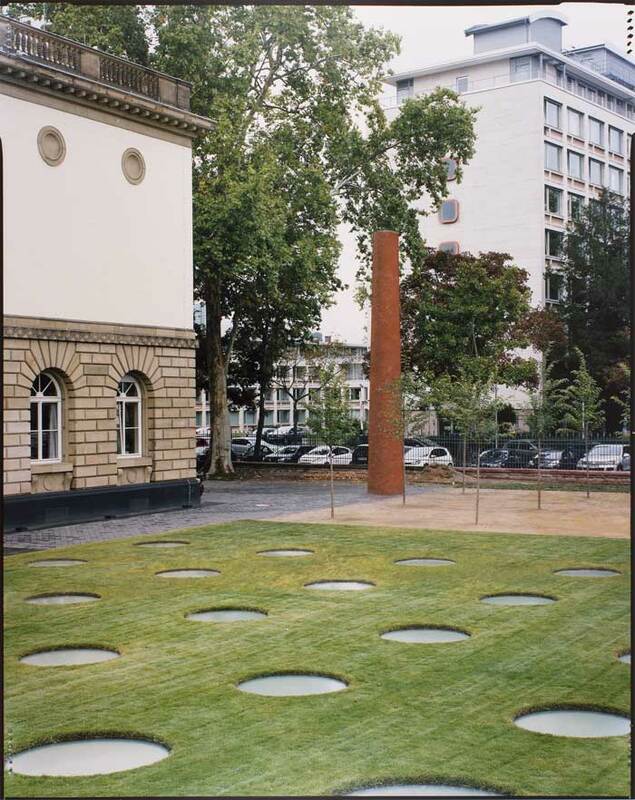 The projected sculpture was built in April 2013, outside of  and commissioned by  Frankfurt's Städel Museum. Finished project. Alternative view. Photo work in an edition of 3, 2016.